In this triangle, the important thing to remember is that the legs have equal length. 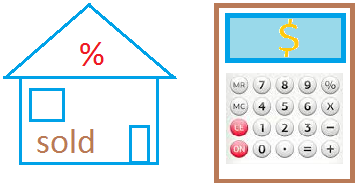 Now, what's the point of having a formula like that? Well, it is a shortcut to solve problems. 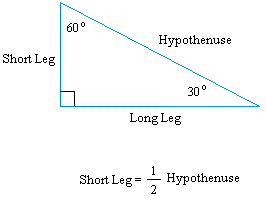 If the legs of a right triangle are equal, you can quickly find the length of the legs or the hypothenuse given the length of the hypothenuse or the length of a leg respectively. The legs of an isosceles right triangle measure 10 inches. Find the length of the hypothenuse. The Hypothenuse of a 30°-60°-90° triangle is equal to 20 inches. Find the Short Leg and the Long Leg.